Ever since I met Libba Bray and found her utterly charming, I wanted to read her books. Last year, I managed to read Beauty Queens and A Great & Terrible Beauty. 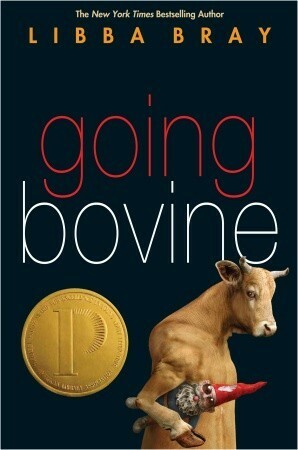 This year, I decided to read GOING BOVINE. Honestly, it took quite a while before the story really, properly caught my interest. At the beginning, I had issues with Cameron, the main character, because he had quite the attitude problem, in my opinion. He was a hard character to relate to, and that definitely made this a "hard" read for me in the beginning. I also had to get used to the writing style that Libba Bray used for this novel. I found it to be a bit clunky at the beginning, but eventually, I hit a point where the writing began to just flow for me and got thoroughly lost in the story. Despite my initial reading speed bumps, my feelings towards GOING BOVINE are actually pretty positive. The story's biggest turning point, for me, happened when I started to understand Cameron, especially his positive traits (like loyalty and imagination) and the way he thinks. It completely changed my reading experience by helping me adapt to the writing style, as well as shifting my perspective. I'm the kind of reader who needs great characters and not just a great story - and LIBBA BRAY delivered such a wonderful ensemble in this book. Apart from Cameron (who is actually a pretty cool character overall, in spite of everything), we have Gonzo (who is his best buddy in the book and just adds to the hilarity of the story), Dulcie (a punk angel, which is just so cool in my head) and Balder (a Viking yard gnome - you heard me!). There are many other additional characters, but these three definitely added an element of fun for me. As for the story, after finishing the entire thing, I have to say - it was such a trip. 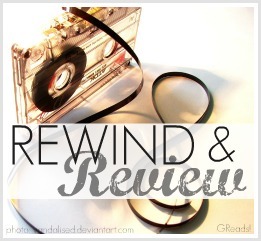 I think back on the book and just feel like saying, "It was so weird... but in a good way!" The book is a little thought-provoking, a lot weird but mostly just a hilarious adventure on the road with Cameron and company. LIBBA BRAY's imagination certainly knew no bounds when writing this book, and it shows! If you're looking for a book that's funny, wacky and just insanely imaginative, you need not look any further - GOING BOVINE is definitely the answer to that craving. 1: "The point is probability and reality. And that's where parallel universes come in. Reality splits into two possible outcomes - one where the cat lives; another where the cat dies. From every choice you make, another world is created where a different reality happens." 2: "Music has the power to save the world." 3: "I don't think you should die before you're ready. Until you've wrung out every last bit of living you can." 4: "Because I've accepted Jesus Christ into my heart and my life. And I know that what happened to me happened for a reason. God has a bigger plan for me, and I have to trust in that." 5: "We all walk in a land of dreams. For what are we but atoms and hope, a handful of stardust and sinew. We are weary travelers trying to find our way home on a road that never ends." 6: "People always think they know other people, but they don't. Not really." 7: "Are the people you meet there to play a part in your destiny, or do you exist just to play a role in theirs?" 8: "We're colliding, making our own universe, something new and unnamed and full of every possibility. It's so intense, this happiness - there is no escape velocity from this kind of feeling. And for once, I'm not looking for a way out." I was so pumped when I picked up this book. Sadly it is still sitting on my shelf. Thanks for the heads up to the style. It sounds like a YA Christopher Moore type book. I know exactly what you mean! I also had a little trouble getting into this book at first, but by the end, my opinion was definitely on the positive side! You couldn't be more right about it being a "trip" though...I think that was how I described it to my friends after reading it as well..quirky, but good! I have never heard of this book! It sounds wonderful. Putting it on my list right....now! Right? It's crazy, but in a good way. And no problem! I was listening to the audiobook of this one. It's really well done but I just realized I never finished it!! I need to go back now and see where I was! I just love Libba! I have heard so, so much about Libba lately but sadly have not picked up any of her books! I know! Another disappointment. I got The Diviners at ALA and I'm excited to finally have one of her books in my hands! Charming is the PERFECT word to describe Libba Bray, I adore her! So much fun to chat with. Going Bovine is actually the only one of hers I haven't read yet (except The Diviners, of course) - I want to, but the cow on the cover always trips me out haha. This is the first review I've seen for it, and I'm glad it's positive! Wacky, weird books are so much fun (have you read There Is No Dog by Meg Rosoff? Another wacky one! ), and I'll have to remember this for a day I'm in the mood for that :) Great review!